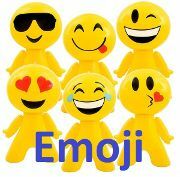 A novelty inflatable emoji character in the design of the wink emoticon from your mobile phone!. This funny blow up toy makes a great value gift for children for Christmas or birthdays, as an indoor toy or as a fun toy in the garden or pool. A blow up novelty toy that measures 20 inches, has a body, arms, legs, a big happy smile, and a winking eye! 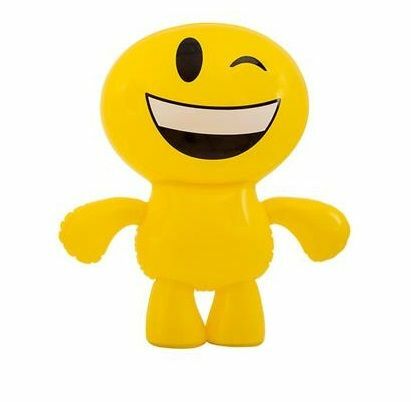 This bright yellow novelty emoji man is easy to inflate and makes a great addition for parties and events and, along with our other emoticon inflatables, is a must for an emoji themed birthday party for kids! Inflatable Emoticon Winking Smiley, made of quality durable rubber. Fun blow up toys that kids will love! Easily inflated by mouth via valve. From our Emoji Inflatables & Novelty Inflatables sections. Same day dispatch on orders placed before 3pm. 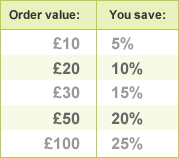 Don't forget our bulk buy discounts listed in the right-hand column!